HelloCasino is all about action, no tricks no gimmicks, just amazing games! The casino was founded by White Hat Gaming in collaboration with a team of experienced iGaming professionals. They love what they do and sure know how to treat casino players well. They pride themselves in the transparency of their bonus terms and conditions. They always offer free spins with no wagering requirements which means your winnings are yours to keep. But that’s not all, this operator also allows players to withdraw their winnings before beginning to wage any bonuses. This is quite a unique feature which is truly advantageous to casino player who wins big in their first few rounds after claiming a bonus. In other casinos, when this happens it may mean completing the wagering requirements of the bonus before being able to withdraw any funds. In this casino, you can forfeit your bonus and have access to your winnings because they did not accrue as of results of playing with bonus funds. So your money is really yours! The are regulated by the UK Gambling Commission and managed by Imperium Network Solutions Limited. Their website is responsive and displays well on an iPhone, Android or tablet. 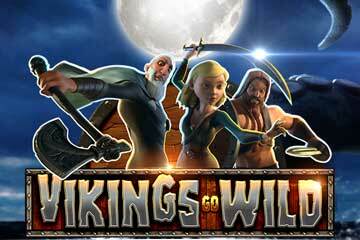 They also offer over 200 games to mobile casino players. HelloCasino has a really good game portfolio from recognised and award winning game providers such as Amaya, Aristocrat, Blue Print, Elk, Game Warehouse, Genesis, Leader, lightning Box, Microgaming, MultiCommerce, NetEnt, NYX, QuickSpins, Thunderkick and lastly WHG. With such an impressive game portfolio, you’re certain to find your favourite game and even discover new ones that you may like. They also offer Live Casino games via NetEnt Live Network. Players who enjoy baccarat, blackjack and roulette will sure love this cutting edge platform especially since the latest update which makes playing live casino on a mobile device, even more fun! 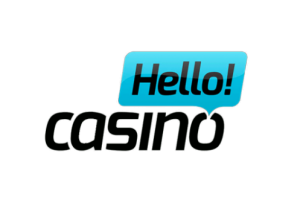 What about HelloCasino’s welcome bonus? 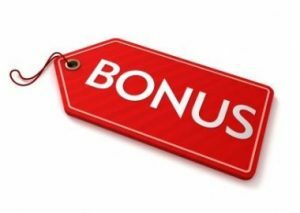 In order to claim the bonuses, you will need to signup and validate your account. The account validation process is done via email, so players who are interested in joining this casino should make sure their credentials are entered correctly in the one-step signup form. If you’ve not received the validation email after a few minutes make sure to check your junk folder and add their senders address to your preferred list of recipients to never miss out on a good offer. HelloCasino offers a welcome package of worth £1100 and a bonus 150 free spins across 3 great NetEnt title, Twin Spin, Starburst and Gonzo’s Quest. The welcome package covers 3 deposits. With the first bonus, players can claim a 100% bonus up to £100 and 50 free spins on Twin Spins. 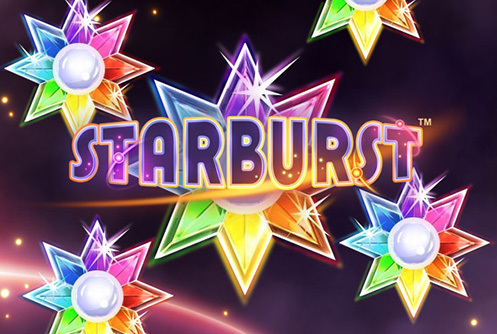 The second deposit bonus may give players who choose to maximise it £2500 to play with as it is a 25% bonus up to £500 and 50 Bonus Spins on Starburst. The last bonus is a 50% up to £500 and could give loyal players who choose to maximise it £1500 to play plus, plus, another 50 wager-free free spins on the popular Gonzo’s Quest by NetEnt. You do not need to enter any bonus code to claim any of these offers. Simply make a deposit and your bonus will be credited instantly to your account. The wagering requirements of these bonuses are fair. You’ll need to turnover 25 times the total amount you’ve deposited and bonus funds. You will have 30 days to complete the wagering requirements. While you’re on HelloCasino’s website make sure to have a look at the promotion section as they offer serious value for all levels of players. HelloCasino offers daily promotions such as Monday blues buster, mystery bonus Tuesday, break the bank Wednesday, tremendous Thursday, the dish of the day and cash attack. What payment options does HelloCasino offer? There’s really no shortage of deposit method if you choose to play at HelloCasino. This operator accepts, Visa, Mastercard, iDeal, Trustly, Giropay, Sofort, PaySafe Card, DotPay, Skrill, Neteller, Trustpay Qiwi Waller, WebMoney, Moneta and Bank wire transfer. The minimum deposit for any of the mentioned payment method is £10. HelloCasino also doesn’t take extra fees when depositing with a credit card which is always good to know. Players who choose to deposit will also have access to a multiple currencies, British Pound Sterling (GBP) , Euros (EUR), Us dollar (USD), Australian dollar (AUD), Canadian dollar (CAD) , Swedish Kroner (SEK), South Africa Rand (ZAR), Norwegian Kroner (NOK) and New Zealand dollar (NZD). Even if this casino offers a lot of currency and not all players from around the world can signup the following countries are banned from accessing the site due to the strict gaming regulation enforced in these territories. Afghanistan, Algeria, American Samoa, Angola, Austria, Belgium, Bolivia, Bulgaria, Cuba, Denmark, Ecuador, Ethiopia, France, Ghana, Guam, Guyana, Hungary, Indonesia, Iran, Iraq, Israel, Italy, Kenya, Lao Peoples Democratic Republic, Latvia, Malta, Myanmar, Nigeria, North Korea, Northern Mariana Islands, Pakistan, Panama, Papua New Guinea, Poland, Romania, Russia, Sao Tome and Principe, Singapore, Slovenia, Spain, Sri Lanka, Sudan, Syria, Tanzania, Thailand, Turkey, Uganda, United States, United States Minor Outlying Islands, Vietnam, Virgin Islands (U.S.), Yemen, Zimbabwe. What about HelloCasino withdraw policy? Like most casinos, you’ll need to use the same payment method you’ve used to deposit to be able to withdraw your winning. All withdrawals have a 48hr pending period. During this pending period, you can cancel the pending transaction to instantly get the money back into your casino wallet and continue playing. After a 24 to 48hr the payment processing team will review your request and issue the withdraw. Depending on the payment method you’ve used it may take between 2 to 5 business days for funds to reach your account. 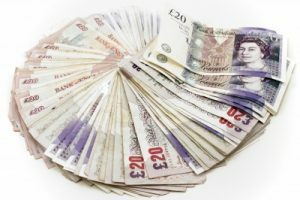 Please note that the minimum amount you can withdraw is £20. What about the customer support team? All agents have carefully been selected for their game knowledge and their desire to keep you happy. Their team of experts is at your disposition to answer any question 24/7 365 days a year via live chat and email. They are always a few agents ready to help you so you won’t have to wait on the chat line long. We hope you’ll enjoy this casino as much as we do and my this site bring your luck!